In addition to Brownell’s election, the NRA Board of Directors re-elected Wayne LaPierre as the NRA Executive Vice President. Under his trusted leadership, the NRA has grown to unprecedented levels, becoming the preeminent force in American politics and strengthening its position as the nation’s foremost defender of the Second Amendment. Upon his re-election, LaPierre reappointed Josh Powell to the position of Executive Director of NRA General Operations and Chris W. Cox to the position of Executive Director of the NRA Institute for Legislative Action. NASCAR legend Richard Childress of Welcome, North Carolina, who most recently served as NRA Second Vice President, was elected First Vice President. Childress is Chairman and CEO of Richard Childress Racing, one of NASCAR’s most prolific and storied teams. Outside of his life-long passion for auto racing, Childress is an accomplished conservationist and activist for the protection of our natural resources, having supported groups including the Boone & Crockett Club, Ducks Unlimited, and the Rocky Mountain Elk Foundation. Carolyn D. Meadows of Marietta, Georgia, was elected Second Vice President. An active member of the NRA Board of Directors since 2003, Meadows is a political leader whose effective lobbying of Congress and Georgia legislators has been felt both locally and nationally. A passionate shooter and hunter, Meadows volunteers to provide gun safety courses for children and adults. Additionally, Wilson H. Phillips, Jr., was re-elected by the NRA Board of Directors to serve as Treasurer, and John Frazer was re-elected Secretary. The recent elections came at the end of 2017’s NRA Annual Meetings and Exhibits, the nation’s largest celebration of the Second Amendment, the shooting sports and American freedom. Following a massive victory in 2016 culminating with the successful election of NRA-endorsed President Donald J. Trump, the NRA celebrates the installment of an administration committed to protecting gun rights in America. 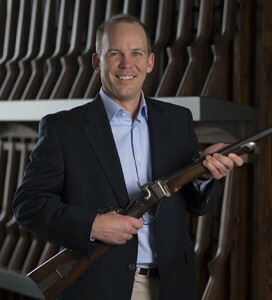 Under Brownell and LaPierre’s leadership, the NRA will continue to fight tirelessly to promote and improve the shooting sports across the country through its competition and recreational programs, develop and offer unparalleled training for gun owners of all skill levels and disciplines like NRA Carry Guard, and mobilize dedicated volunteers and supporters at the grassroots level in all 50 states. The NRA will continue to build safer families, schools and communities through its award-winning outreach and education programs like the Eddie Eagle GunSafe Program and National School Shield, work to defend time-honored outdoor and hunting traditions cherished by millions of Americans, and beat back the relentless assaults on the Second Amendment at all levels. Just as it has done for 146 years, the NRA and its 5 million members will continue to fight for the Second Amendment because we are freedoms safest place.